Pumpkins!! 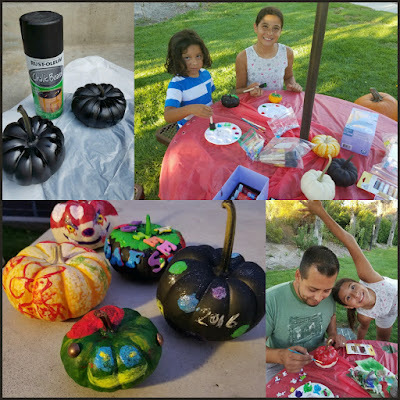 Carve or Paint - Old Tradition Meets New Crafty Way to Celebrate Halloween! We have ALWAYS carved pumpkins for fall family fun. This year we decided to try something a bit different. 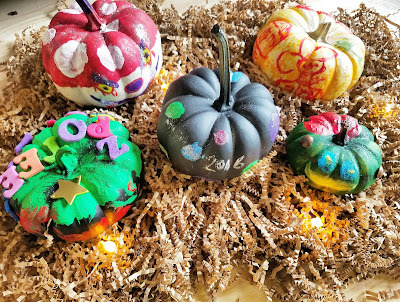 Pumpkins are still in the mix but the creativity has gone crafty! Painting our Pumpkins was super easy and less of a mess. * Easy set up - grab your favorite paints and put down a cheap table cloth or newspaper for easy clean up. * I also started with some chalkboard paint and did a few this way to prep for later in the evening too! * Easy to do - there is no cutting, carving or gutting of seeds. Just get the set up ready and everyone can start - from little to old - easy peasy and ready when they are! Perfect for my son on the spectrum as he was able to dive right into the fun. * Easy clean up - Just toss the trash and clean the brushes. Wrap up the table cloth or newspaper and toss it all. * Create and get crafty with paint, glitter, stickers, bolts and more... basically whatever you have on hand that will stick to the pumpkins paint. * Thanks to Orchard Supply for this super out of the box idea. We also used bolts and screws from the hardware store to create an alternative look too. My daughter crafted up a smiling green Frankenstein with some mini bolts from OSH. * Any size pumpkins - what I loved is that there was no Pumpkin too small to craft. 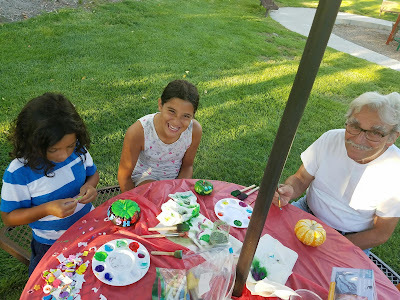 Mini, Medium or large, they all work with painting. * Cut up when done with display for Pumpkin seeds and get to making some pumpkin seeds! Easy peasy and beat part for us... totally autism friendly. No waiting, no cutting, just a lot of go and do what you feel like doing freely. It was a nice fun break to traditional carving! 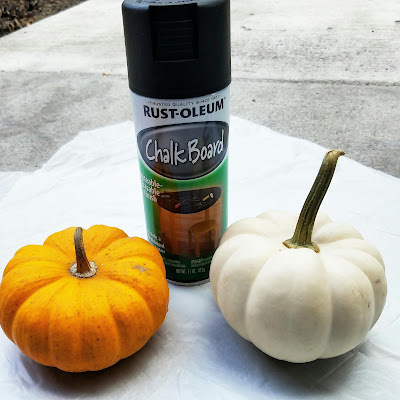 Have you tried Pumpkin Painting? What is your take on it?